Constraints on both our time and budget mean that we don’t always consider the full implications of what we put into our shopping basket. Cleverly misleading labelling also means we are often kept in the dark about the true story behind our food. Eggs, for example, form a part of many staple diets and are used in millions of manufactured food products worldwide – from mayonnaise to cakes to pasta to horseradish sauce. However, when buying shelled eggs or products containing eggs, there are two words you must look out for. If Free Range is not on the label, the little hen laying the eggs will be a battery hen and if ever there was a creature worthy of human compassion then it is the little battery hen. The battery hen lives for over a year in a cramped cage with four other hens. 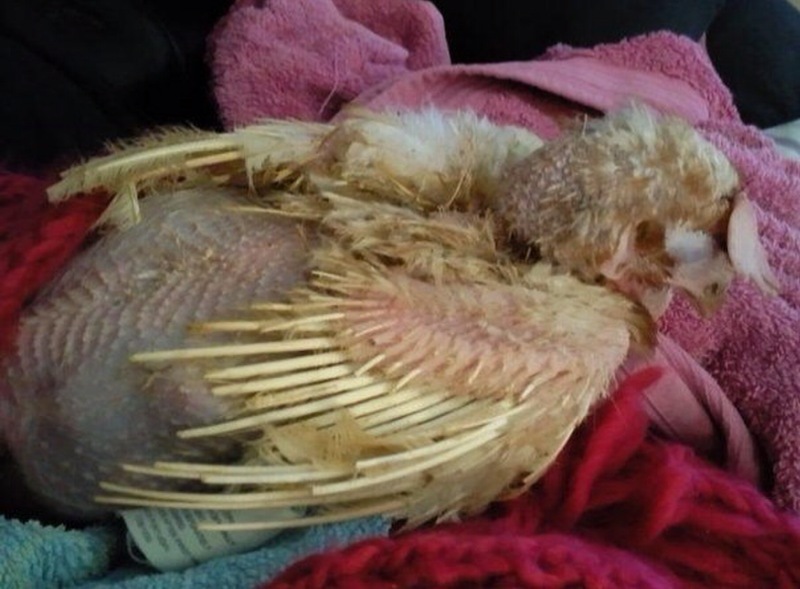 She cannot move freely or lay her egg in comfort and is unable to express natural chicken behaviours such as scratching, foraging or dustbathing. She is subjected to artificial daylight to ensure she lays an egg a day and is often pecked and bullied by her cage mates. Once she is no longer financially viable she is sent off to slaughter. Hardly a fitting end for this hard working lady. Some lucky girls are rescued by charities and found loving homes to live out their retirement in freedom and comfort, but more homes are always needed. And if you are wondering what effect this life can have on the hens, this is a photo of my friend Julie Bryder’s ex-batt hen, Dotty. Admittedly little Dotty is an extreme case but she is not the only hen who looked like this on being freed from the cage and she will not be the last. There is absolutely no excuse to treat a fellow creature like this, none whatsoever. (If like me, after you have wiped the tears from your eyes, you wonder what happened to this little angel, scroll down to see a picture of Dotty a few months and much tlc later). A small ray of hope for the battery hen is the 2012 Cage Ban which comes into force in January next year and will ban barren cages, replacing them with enriched cages. These allow a little more room for the chickens and give them access to nesting materials and those for dustbathing. Whatever your thoughts on animals in cages it is a positive step forward and one that we should support as just that – a step in the right direction towards our ultimate goal of a free range future for all chickens. However, after 14 years in the planning, some EU countries have dragged their heels and are inexcusably still not ready for the ban. They have subsequently managed to get a ‘reprieve’ from Commissioner Dalli who, controversially, has proposed a plan that would allow these eggs to be used temporarily in products like pasta, cakes and ready meals, in their country of production, but not to be sold as whole shell eggs. This cop-out provides the farmers who still have illegal barren cages with no incentive to upgrade to enriched cages and cannot be allowed. To email Commissioner Dalli about his appalling U-turn click here. The email is written for you or to use as a guide and it only takes a few seconds. It is all too easy to condemn, find fault and criticise but what I really want this blog to achieve is to inspire people to do something positive towards a free range future for hens. These ideas take little time and effort but could make all the difference. People power is, after all, an extremely effective weapon of change. Don’t be fooled by pictures of happy chickens in fields with ‘Farm Fresh Eggs’ emblazoned upon the label. If it doesn’t say Free Range, it won’t be. Those crafty, misleading labels are a shopper’s Achilles Heel. If you are buying any processed food at all, check the label. The obvious culprits are mayonnaises, quiches, cakes, biscuits, pasta, sandwich fillings, frozen ready meals, ice creams…well OK, anything really. Again, if it doesn’t say Free Range Egg, it won’t be. For help when shopping download the CIWF Shopping Guide here. If you aren’t sure, ask to see the store manager who will undoubtedly direct you to Customer Services, who you can ring, email or write to. Then tell your friends to do the same. One voice can be ignored, a whole army of voices cannot be drowned out. The important thing to remember is that these shops or companies rely on your custom, not the other way around. Flex those consumer muscles! And when you are eating out, ask them too. If it isn’t Free Range, tell them why you won’t be eating it. Be it letter writing, fundraising, marching or just telling your friends about the battery hen, you are an important cog in the campaigning wheel for a free range future for all hens. If you can, please think about opening up your home and your heart to some ex-battery hens by taking a look at the BHWT website. These girls are so deserving of your love and are easy to care for. 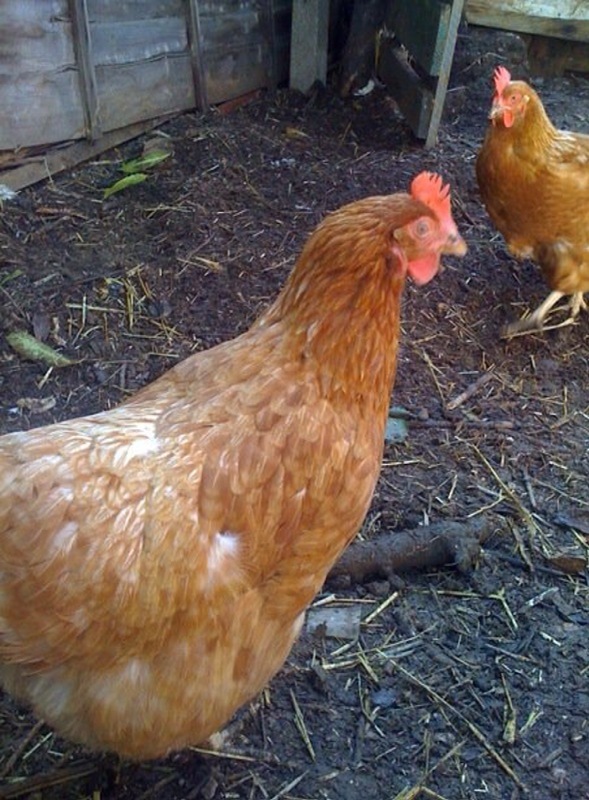 Watching them revert to ‘real’ chickens is truly a marvellous and rewarding experience. All they need is a secure coop and run, a little room to free range, good food and lots of love. Rest assured whatever love you give them will be returned tenfold. Little Dotty as a free range girl!